Lock in a great price for Beck's Motor Lodge – rated 8.7 by recent guests! Staff was friendly and very helpful. Free parking was also an added bonus! The location is wonderful and the rooms were clean and smartly decorated. 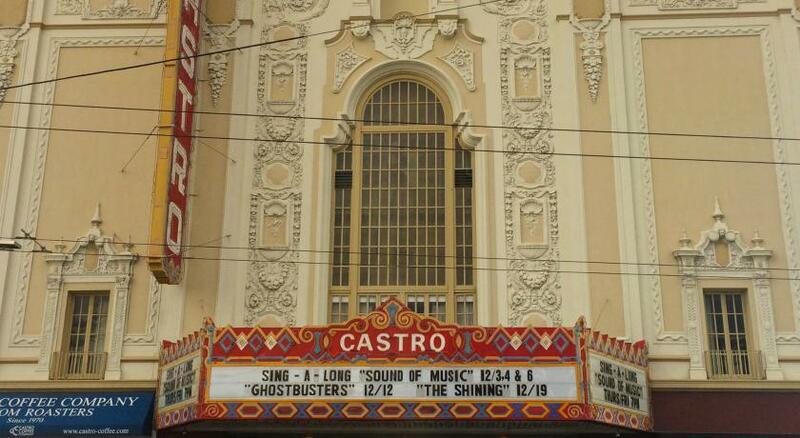 Location is perfect for anyone who wants to explore the Castro area. Everything is walking distance. Rooms and property were kept clean. Liked that there was a working elevator for suitcases. Loved the showers and bathrooms. The soaps, shampoo, and conditioner all smelled very nice. Rooms were kept clean. The location is excellent. You're right between the Church and Castro Muni Metro lines. There are things to eat and see everywhere around this property, which is directly on Market Street. I did not have any issues with noise, but earplugs were in the room if you were bothered by noise. The bed was comfortable and roomy. Mini refrigerator was a nice touch. I want to stay here again in the future. The staff is awesome and guides you to things to do. They are always available to help you. The rooms, I stayed in two, were clean and quite large. The location is amazing and close to everything in Castro and right near a Muni that goes anywhere in the city. I always stay at this hotel because of how convenient the location is. Very close to Castro Street. I loved the central location to the Castro. The units have style and creative though behind the usage of limited space. I love the showers.. 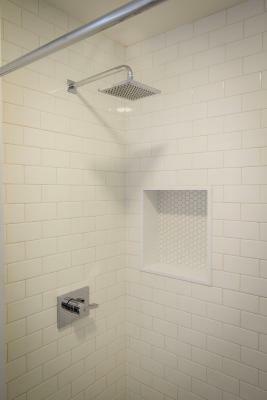 The white subway tiles provide a super clean surface and a unique experience in such a cramped area. friendly and kind staffs. very helpful. cozy room and huge with modern interior. Great location, retro feel, friendly staff, free parking for guests with cars. Beck's Motor Lodge This rating is a reflection of how the property compares to the industry standard when it comes to price, facilities and services available. It's based on a self-evaluation by the property. Use this rating to help choose your stay! A small refrigerator and cable TV are provided in each guest room at Beck's Motor Lodge. An private bathroom is included. While staying at the lodge, guests can enjoy a spacious sundeck. The motel also provides on-site laundry facilities. 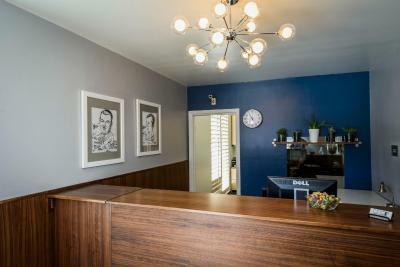 Beck's Motor Lodge is ideally located only moments from the city's historic cable car lines, offering direct access to Fisherman's Wharf and Union Square. 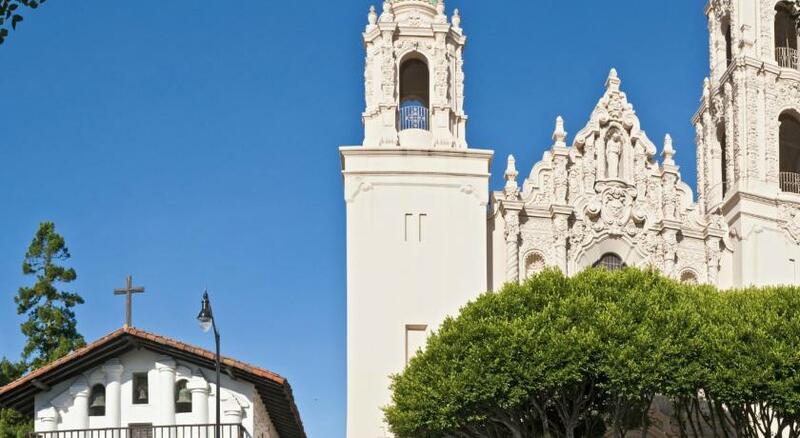 Dolores Park and San Francisco’s Mission District are just 15 minutes’ walk away from this motel. A number of antique shops, cafes and unique stores are located in the neighborhood. When would you like to stay at Beck's Motor Lodge? This room features a flat-screen TV and a private bathroom with a tub. It is located in the back of the property which makes it extra quiet. This superior room features courtyard views and provides terrace access. It includes a flat-screen TV and a private bathroom. 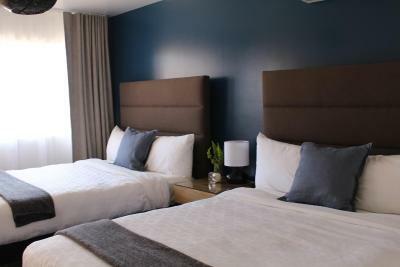 A true San Francisco neighborhood hotel - feel what it feels like to be a real San Franciscan while still easy access to all the tourist destinations. Park for free and take the metro all around town! House Rules Beck's Motor Lodge takes special requests – add in the next step! Beck&#39;s Motor Lodge accepts these cards and reserves the right to temporarily hold an amount prior to arrival. Beck's Motor Lodge accepts these cards and reserves the right to temporarily hold an amount prior to arrival. - A security deposit of USD 100 is required upon arrival for incidental charges. This deposit is fully refundable upon check-out and subject to a damage inspection of the accommodations. Poor small ironing board. Room could do with some warmth - was a white box. Great location. Practical and affordable accomodation. Bathrooms new and bright. Ideal for stays of around 2 nights. The price. It was just ok for the price. I guess you pay for location. The location was great. The room was clean. The beds were ok. Provision of a kettle/jug for boiling water would have been a lot easier to make tea than the coffee machine that US hotels seem to love. A couple of china cups or mugs would have been more pleasant than wasteful paper cups for tea. Very satisfied with Beck's. It was close to good transport connections, plenty of restaurants, cafes and shops. Very grateful for the provision of a small fridge which is one reason we picked Becks so we could keep milk, cheese and wine in. Clean and friendly. Decent sized room on the quieter rear of the motel facing 15th Street, not the bust Market St. We were visiting our daughter and family who live a short walk away so the location for us was perfect. Tv from next door was very noisy. A little noisy and not apt of facilities. Basic and would only use it as a transit stop with a family of 4 . Great location for exploring the Castro. The remodeled rooms are very tasteful. The parking is a huge plus in a city like San Francisco. Deluxe King rooms in the back overlook a tree-lined residential road and are much quieter than the rooms in the front. Front desk staff are very friendly. Can’t beat free parking in San Francisco! The neighbourhood had lots of cafes and restaurants. It was easy to take public transport, which stopped close to the property. The walls were thin so that we could hear a lot of what was going on in the room next door (which was x-rated!). I just turned up our TV and distracted my kids!